Vapefly Mesh Plus RDA is a versatile 25mm rebuildable dripping tank that's compatible with both mesh wire and standard single/dual coils building. Vapefly adopts SS316 mesh coil with innovative no dry burning design on this Mesh Plus RDA which will avoid the burning issue that most mesh RDAs have in the market. The Mesh Plus also comes with a deep juice well, dual adjustable side airflow and an optional bottom feeder pin for squonking. 3 colors for your choice. 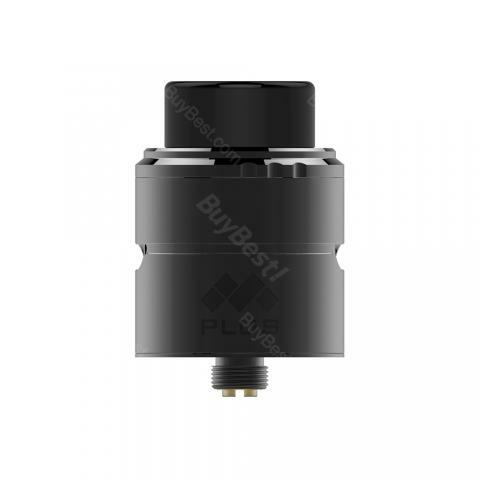 The Mesh Plus RDA by Vapefly is a newly designed rebuildable dripping tank for those who like building with mesh wires. 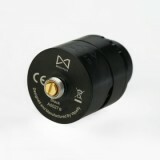 It's 25mm in diameter, making it suitable for matching with most box mods. Featuring a postless dual clamp deck that supports standard single & dual coil builds as well as mesh wire, the Vapefly Mesh Plus will satisfy your different building needs. And the deck comes with a huge cotton space and oblique wicking hole for easy building & wicking. Vapefly adopts SS316 mesh coil with innovative no dry burning design on this Mesh Plus RDA which will avoid the burning issue that most mesh RDAs have in the market. It also includes another 2 different mesh wires, the Ni80 mesh wire and KA1 mesh wire. Moreover, a bottom feeder pin is also available for the Mesh Plus RDA, which allows you to use it with your squonk mods. Plus a deep juice well, dual adjustable side airflow and 810/510 drip tips, the Vapefly Mesh Plus RDA will bring you best vaping experience. Vapefly Mesh Plus ist wirklich super und sieht auch richtig edel aus! Vor allem in der Tasche! Alles super! I can't believe such a low price here. Absolutely authentic!